‘Hellboy’: New Images Reveal Kroenen, Rasputin, Nazis, and the Blood Queen!! Check It Out!! | Welcome to Moviz Ark! ‘Hellboy’: New Images Reveal Kroenen, Rasputin, Nazis, and the Blood Queen!! Check It Out!! 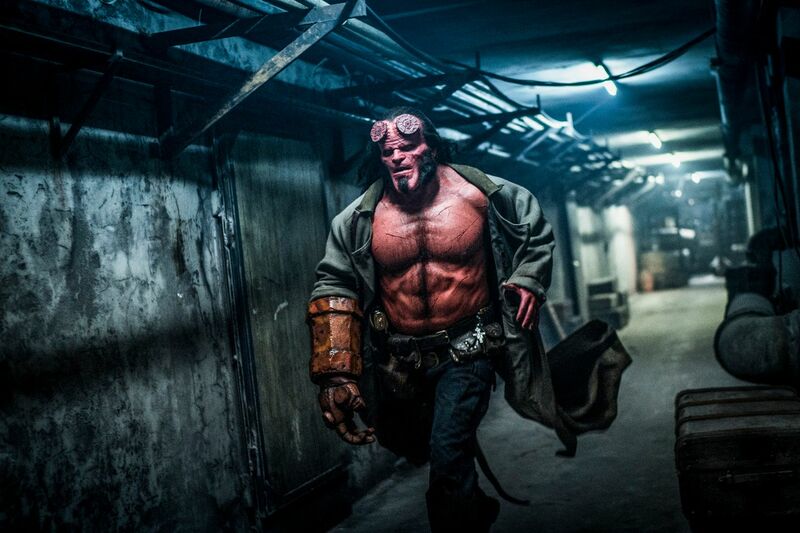 Admittedly, the acclaimed and beloved Hellboy comics are just outside of my circle of experience, but I’ll be damned to the infernal pit if Neil Marshall‘s upcoming adaptation doesn’t look like it’s made just for the fans. The first trailer for the Lionsgate/Summit flick arrived earlier today and, in addition to David Harbour taking on the title role and donning the horns and red right hand, it showed off a ton of rather insane demonic action. To the untrained eye, or the Google-y challenged, the trailer looks like a mash-up of high fantasy and urban S.W.A.T. missions, but there’s a lot of comic book goodies hiding in plain sight here. For that reason, we combed through the recent trailer to pull out a bunch of images that went by in a flash. 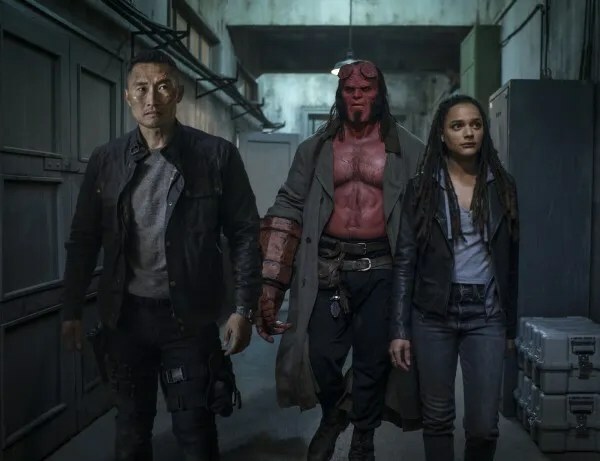 Most of them feature Harbour in his fantastic get-up alongside co-stars Sasha Lane, Daniel Dae Kim, Ian McShane, and Milla Jovovich, but still more show off the more inhuman creatures from the Hellboy story. 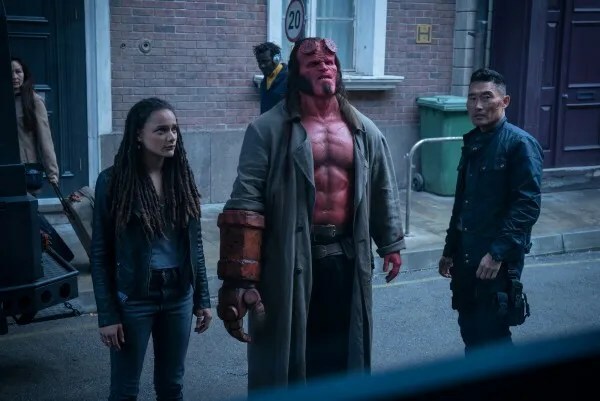 If my sleuthing skills are still sharp, you’ll find stills of everyone’s favorite movie (and real-world) villains the Nazis and Grigori Rasputin, alongside Hellboy-specific baddies like Karl Ruprecht Kroenen. And in an even deeper cut, it looks like we’ll be seeing the machinations of the Gruagach and the Daoine Sidhe, giants and The Wild Hunt, and obviously the rise of the Blood Queen, Nimue. Even if you’re like me and only know what some of those words mean, Hellboy looks like a rich adaptation that promises more mythology to come. Anticipation is higher than ever for its April 12, 2019 release date. ← DC Universe Reveals Premiere Dates For Doom Patrol, Swamp Thing, Stargirl and Harley Quinn!! !